Just think, if you do the cutting clean enough, or have the gusto to double up the work, you could always go back and try for something Iranian - mate the Tigershark's nose on the Tiger's tail, pattern yourself either one or both of the tails, and go for either the Saeqeh or Azarkash. We both know you've got the talent and skill to do that. Good to know I'm not the only one thinking of a fuselage clip and swap these days... I was thinking about the front of a MiG-21 mated up to a Mirage lately..
Make mine a Beam & cola! I'll do my best to keep up with this! Promise! I'm glad to hear you all are excited about this built. Well the hardest part of this project is mating two different kits from two different manufacturers and make it look as one. In theory, it should work. 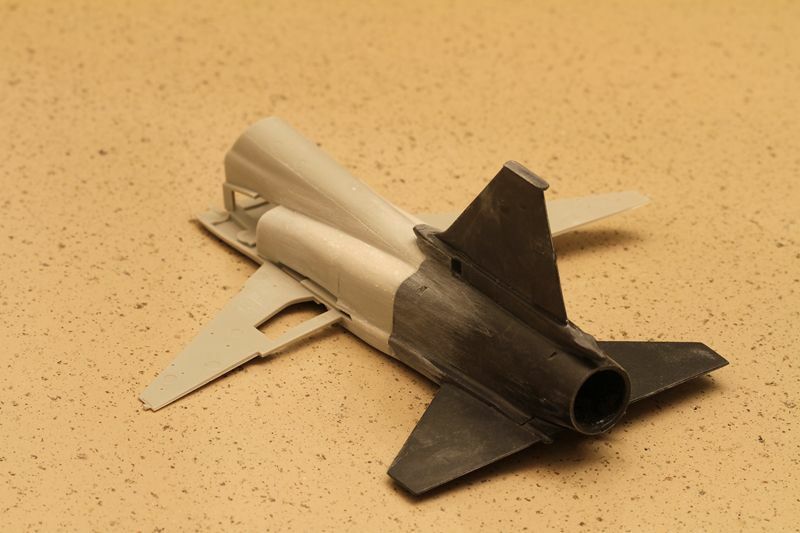 Went I first had the idea to do this project, I was thinking just graft the RF-5 nose to the F-20. Then rescribe the model. That changed as soon as I saw the RF-5 kit. AFV did a wonderful job. It's a gem with a tons of beautiful detail, which I want to keep as much of it as I can. 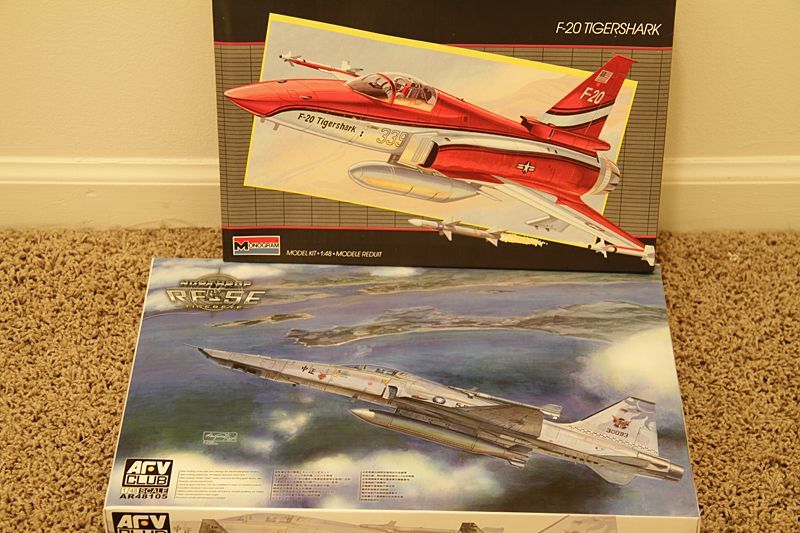 So here's what I'm going to do, going to cut the rear end off the F-20 and join it to the RF-5. The most inportant cut will be on the RF-5. Where every I cut it, matching up the bodies could but close and not much work(Like that's going to happen) or it could go Oh Hell! 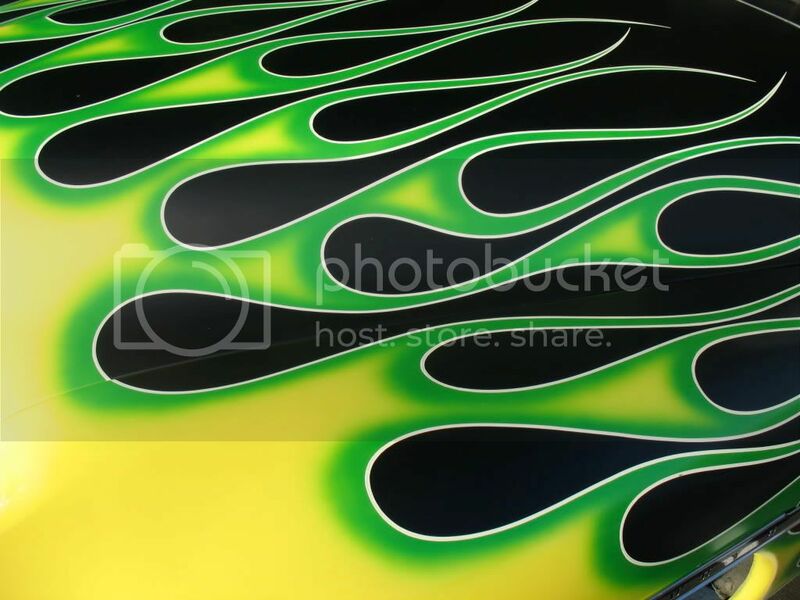 It went Oh hell The biggest issue is the intersection where the top of the intake meets the body. On the RF-5, it's lower than on the F-20. 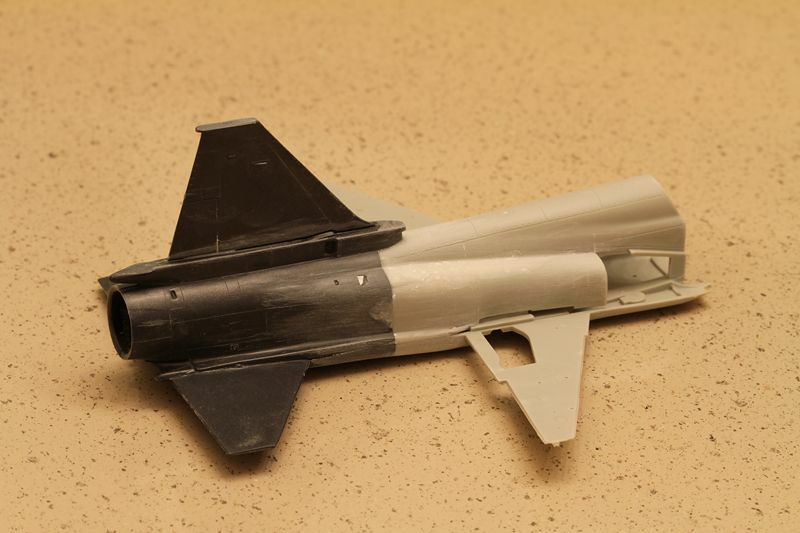 And the overall height of the body of the RF-5, where I cut the tail off, is shorter. 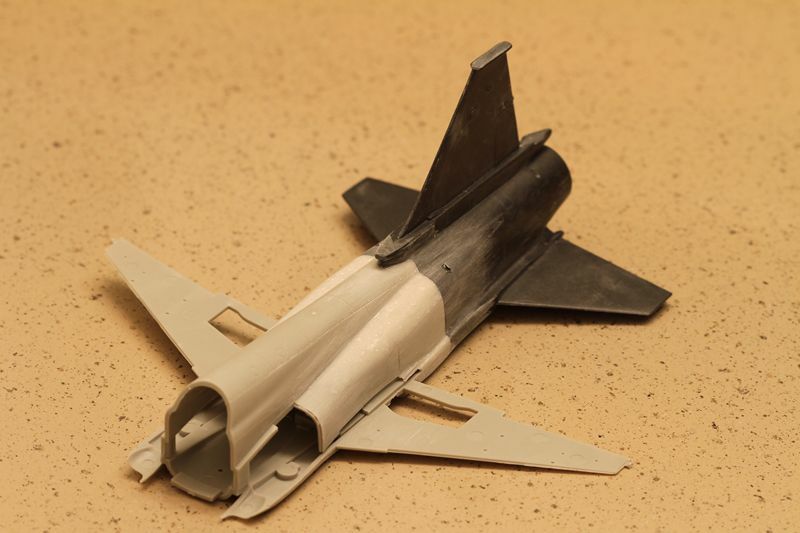 So my plan is to join the upper fuselage of the RF-5 to match the F-20 then match up the lower. This solves the side view silhouette but I now have to fill the gap due to the height difference and have to move and reshape the intersection where the top of the intakes meets the fuselage. 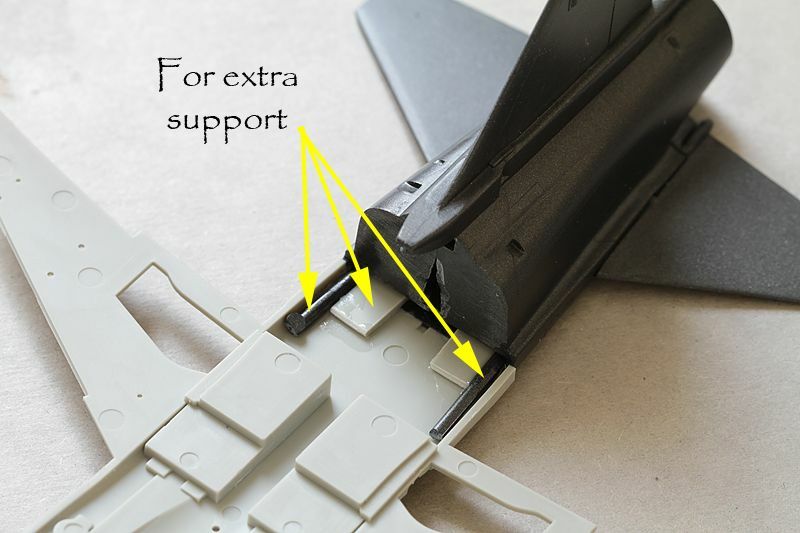 To add more strength to the join, I super glued two stripes of styrene and two piece of cut sprue. Once the two was glued together, I then saw what I was in for! I was hoping for nice and easy, a little sanding, some putty..... Not the case. I have one fuselage with two different sections and got to make it look like one. I started with removing the panel that was proud of the F-20 body. 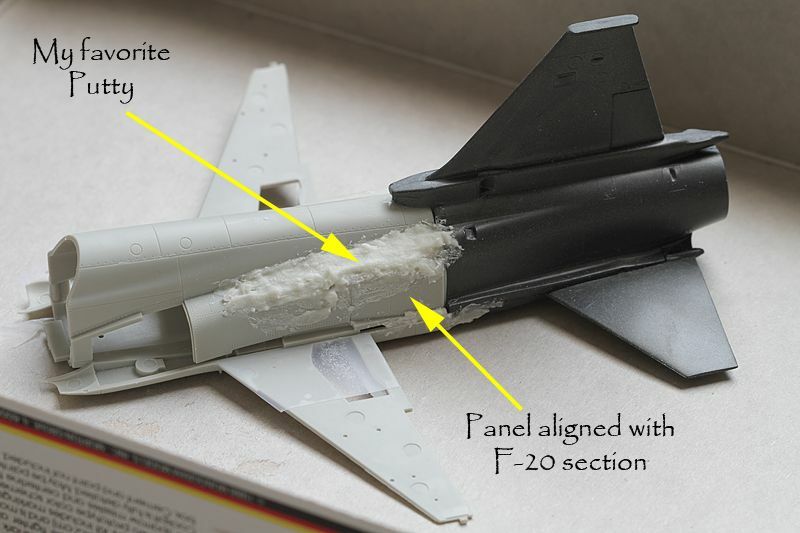 Once removed, I glued it as close as possible to the F-20 section. 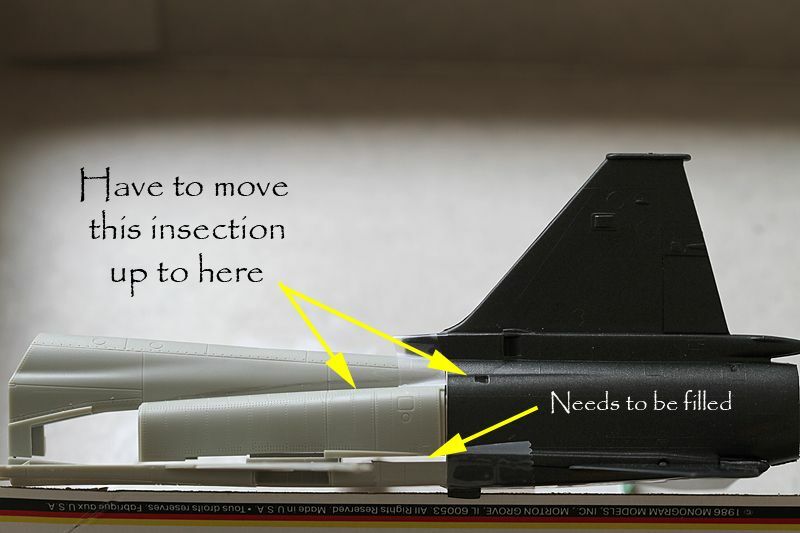 I then drew a line on the RF-5 body, roughly showing me where I need to add putty to move that intersection up. With the panel glued into place I started adding my favorite putty, Super glue and baby powder. Time to start sanding and shaping. It took about 45 mins per side of sanding to roughly shape it. Currently waiting for supplies to show up so I can then shoot some primer on her. 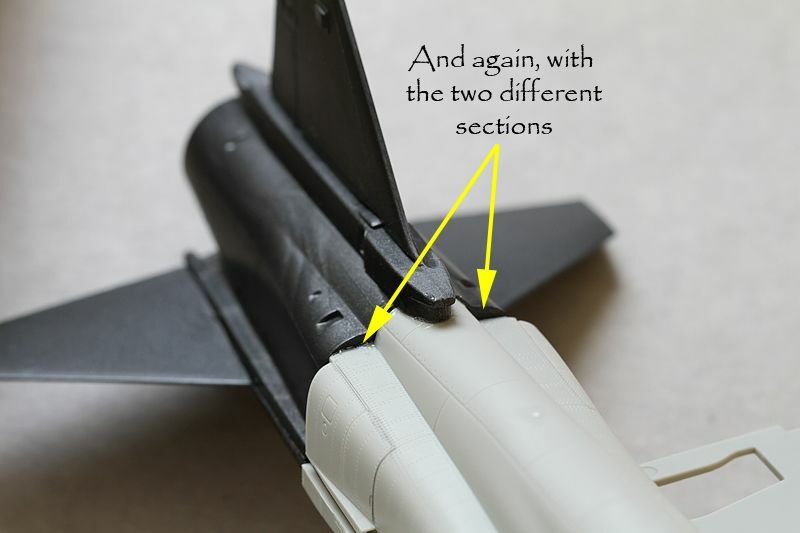 The only down side of all the sanding and shaping is that the rivet detail and panel lines on the intakes area were lost. But thats why I used Super glue and baby powder as my putty. Once I'm happy with the surface, I can go back a rescribe the lost detail as well as add some new panel lines. Not a big deal cause I'm going to rescribe all the rasied panels on F-20 rear anyway. 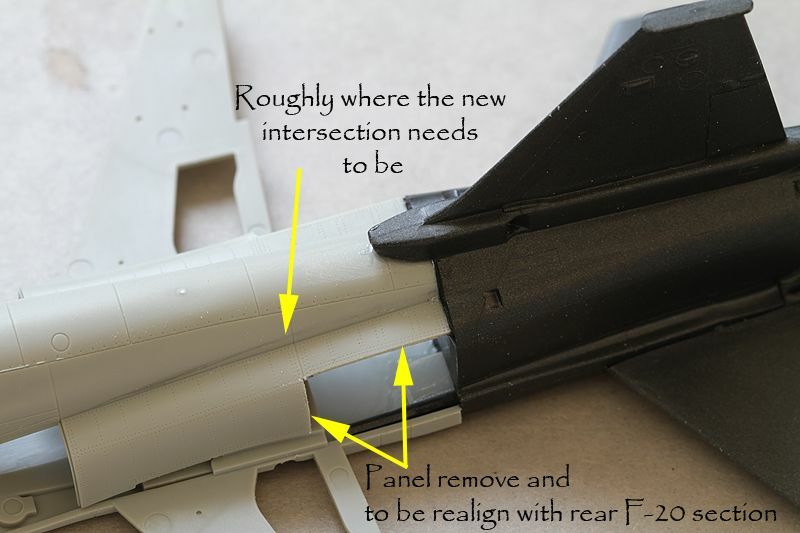 The next big step will be fitting the F-20 intakes to the RF-5 OR changing the RF-5 intakes to look like the F-20. I think I'm going to just change the RF-5 intakes to make life easier. Thanks for watching! Wow ! Great job in joining those 2 sections ! Love the F-5....I'm on board ! The box art on that AFV kit is awesome, btw ! The man said 'TADA' and shows work that would have taken me months to figure out and do. But, forgive me for asking. 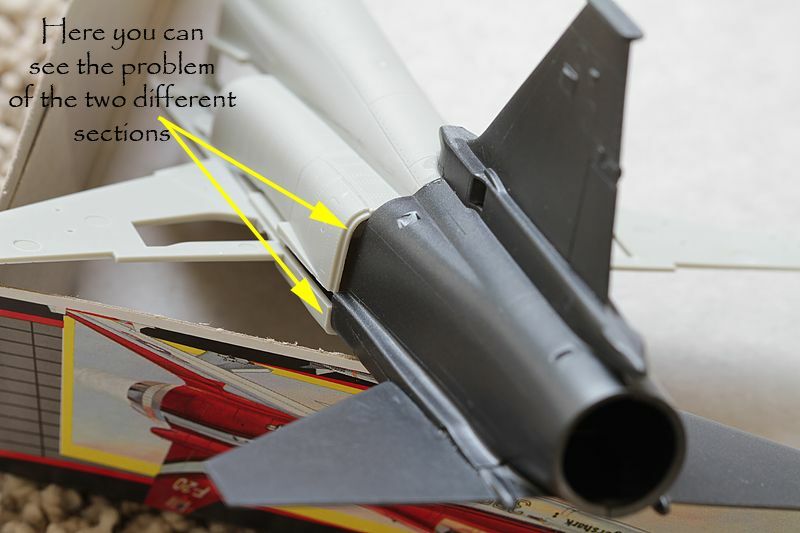 Wouldn't have been easier to just add the nose from the RF-5 to the F-20 instead of the tail to the RF?